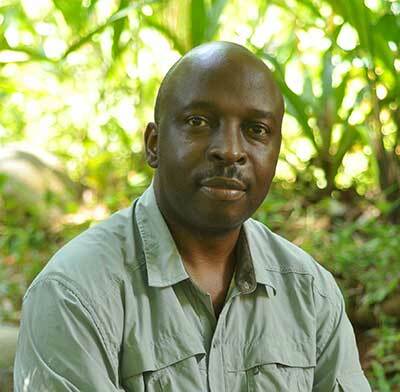 Gamelihle Sibanda is a certified Biomimicry professional. He fuses his training in civil engineering (BSc Eng. Honours), business (MBA) and biomimicry (MSc Biomimicry) towards creation of a sustainable and regenerative planet; where there is enough for all forever. A visual story teller and rapid ideator, he uses his diverse skills to abstract strategies from nature to inspire, teach and create solutions to human challenges. He co-developed the Biominga Innovation Model based on strategies that nature has continuously tested and refined over the past 3.8 billion years. Where others see things that exist and ask “why?” Gamelihle dreams about things that do not exist and asks “why not?”. © 2019 Lush Spring Prize. All rights reserved. Main image: Siliman Musse, an activist of Diritti a Sud. Photo by Allessandro Robolino.